Must be purchased on same order. Promotion valid March 31 - April 20, 2019. ANR pioneers. Bose was the first company to introduce active noise reduction headsets (over 20 years ago) and they’ve been innovating ever since. 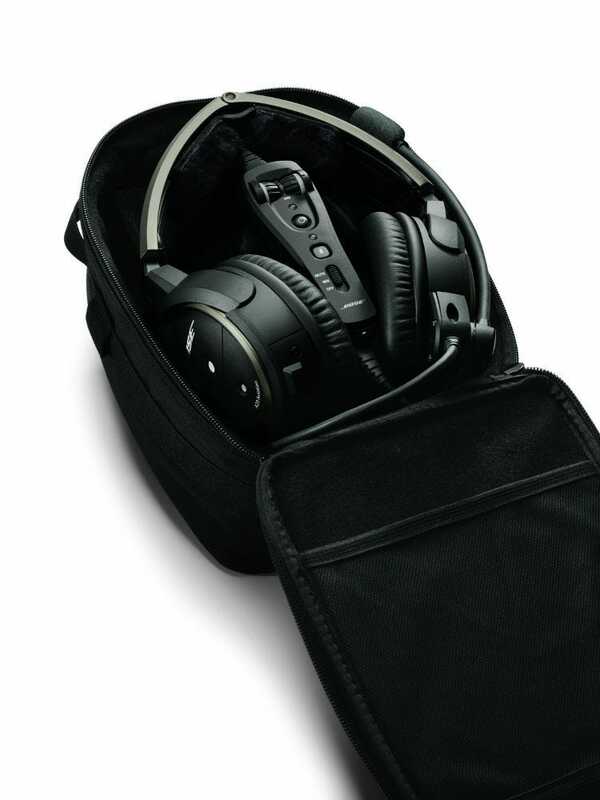 The A20 offers 30% greater noise reduction than conventional aviation headsets. A focus on comfort. A quiet headset isn’t enough these days – it has to be comfortable too. The A20 has numerous features that make it the most comfortable headset we’ve worn, including sheepskin cushions and a unique torsion spring that reduces clamping force. Famous Bose audio. 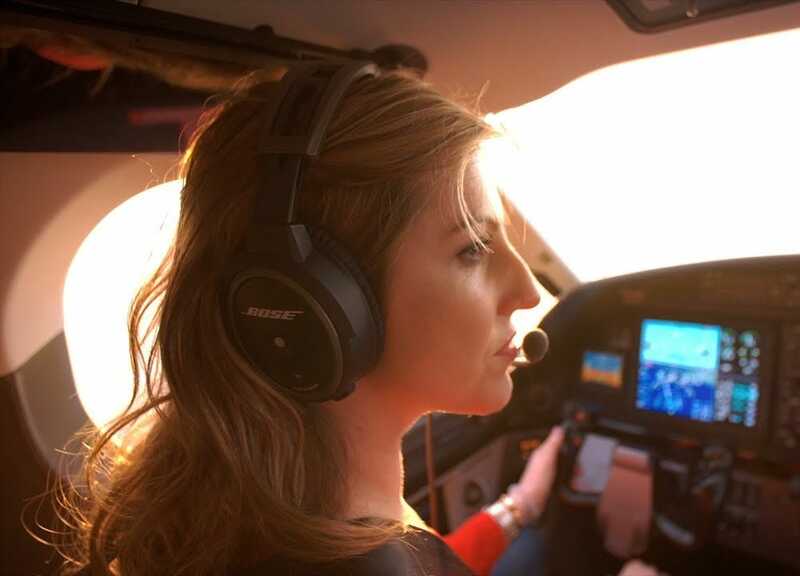 Pilots rave about the Bose's Active EQ, which delivers crystal clear audio and rich sound when listening to music. Bluetooth phone interface. It’s easy to call Flight Service or update family members with this wireless connection that makes use of the A20’s noise cancellation. Bluetooth audio interface. Wirelessly connect your Bluetooth-enabled device to the Bose A20 to listen to music, and notifications from apps. Also available is the option to plug in your device with an aux input cord. Smart audio muting. A handy switch on the A20 control box allows you to choose what auxiliary audio you hear, including automatic muting of aux audio when the intercom is active. Lightweight design. At just 12 oz., you’ll hardly know the A20 is there. The magnesium headband also distributes the headset’s weight evenly, for all-day comfort. TSO'd. 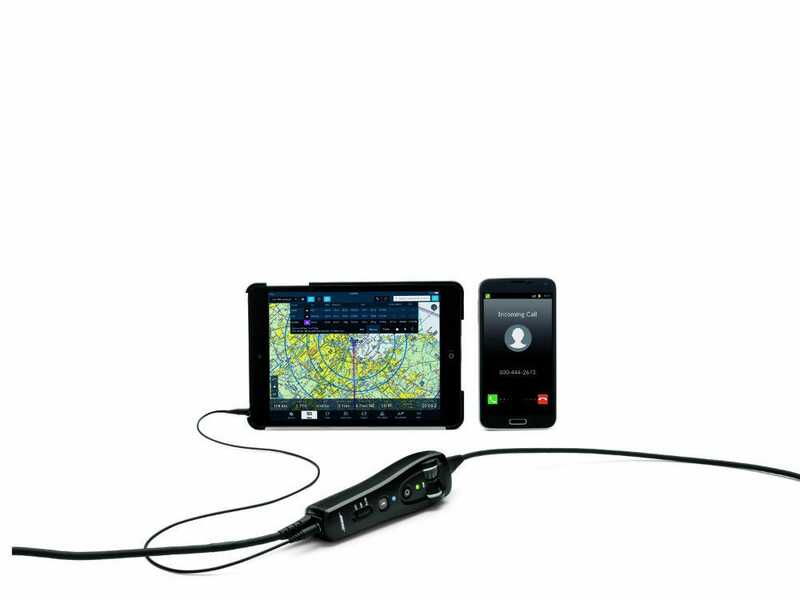 The A20 meets or exceeds all TSO standards (FAA TSO-C139 and EASA ETSO-C139), so you can count on this headset for years of service. They are built to last. Great service. If your Bose headset ever needs service, you can expect fast and friendly service, even years after your purchase. Includes a 5-year transferable warranty. Excellent battery life. Bose’s smart shutoff helps provide at least 45 hours of use from just two AA alkaline batteries. Microphone can be connected to either earcup for convenience. Measures 8.4"h x 6.3"w x 3.2"d. Includes: A20 Aviation Headset, in-line clothing clip, control module, 2 AA batteries, aux-in cable adapter, carrying case. "The Bose A20 is popular for a reason – it strikes a good balance between comfort, quiet and clarity. It's comfortable enough to wear all day and it's quiet enough for almost any type of airplane. It may not be the cheapest headset, but you get what you pay for with Bose." Battery powered, twin plugs - this is by far the most common style, with separate microphone and headphone plugs (so-called PJ plugs). Almost every airplane ever built has these two plugs in the panel, so these headsets are universal. The only downside is that, for ANR headsets, you will need to use AA batteries to power the headset. Helicopter plug - helicopters use a single, shorter plug (that is not compatible with airplanes). This is not like the 6-pin plug above, however, since an ANR helicopter headset will still need AA batteries. The only confusing part is that some helicopters also have a 6-pin (or LEMO) plug. In these helicopters, there are two different single plug connections. Airbus XLR plug - less common is a single 5-pin connector that is made for Airbus jets. "I expected it to be good. I just didn't expect it to be this good." Like no other. Fits. Comfy. Quiet. The best in my opinion. Comfortable headset. Works well for its intended purpose, however Bose customer service leaves me wanting. The noise canceling is beyond belief and the comfort is what sold me. 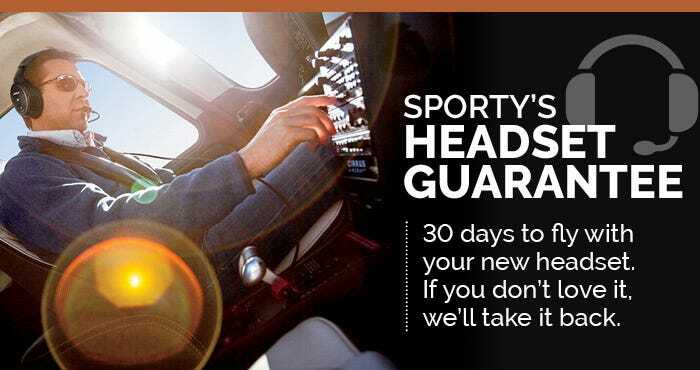 And with Sporty’s 30 day return policy takes all the pressure off of the purchase. Awesome! Fits well, comfortable, sound is perfect! So one week after I get my headset, Bose along with Sporty's decides to throw in an extra set of wireless headphones? If I had known that I would have waited a week on the order? I flew with many different headsets over the past 20+ years and these are THE most comfortable. Great noise cancellation keeps you ‘fresh’ throughout a long flight. Makes a world of difference. Just wish they were less expensive.. I even use them flying Part 107 (drones) cuz i use their bluetooth to monitor ADS-B from my iPhone/Foreflight. Also use them with my ham radio to reduce room noise during multi-multi contesting. The headset is less quiet and less comfortable with sunglasses than I expected when compared to my old passive DC’s. The wow factor wasn’t really there in a piston GA aircraft. I do appreciate the ability to connect via Bluetooth to my iPad to receive alerts from ForeFlight. It can shut off the noise even it comes from rough engine ! It really helped us to hear the clear ATC. This is my first ANR headset and it was worth the price. The comfort level is outstanding and is levels better than the old David Clark’s I used before. The A20’s are a great investment if you’re flying long term. Can the new Bose A20 be paired to and iPad for alerts from Forflight and a iPhone for talking on the phone (to get clearances) at the same time? BEST ANSWER: Yes it can be paired to an iPad and iPhone. Once paired, you can make calls with your phone for clearances and IFR cancellations. the iPad will give you audio for music, movies, and alerts. Hi I'm from Mexico. I'm interested in buying Bose A20, but I'm wondering if you're shipping to Mexico? Just bought my a20 headset on 8/7/17. It is in the shipping process, my question is will the speaker going to be shipped with my headset or do I need to redeem it at some other website? Thanks! BEST ANSWER: Please go to the Bose product page. You will see on the right side of the page recommend products. Just under the recommend products you will see the button for the rebate form. You will need a copy of your receipt to upload for the speaker. Can I just my order form that I recceived via email? Or will a receipt come with the back in the mail? You should be able to use the one that you received via email. What comes in the box of the A20 with Bluetooth? 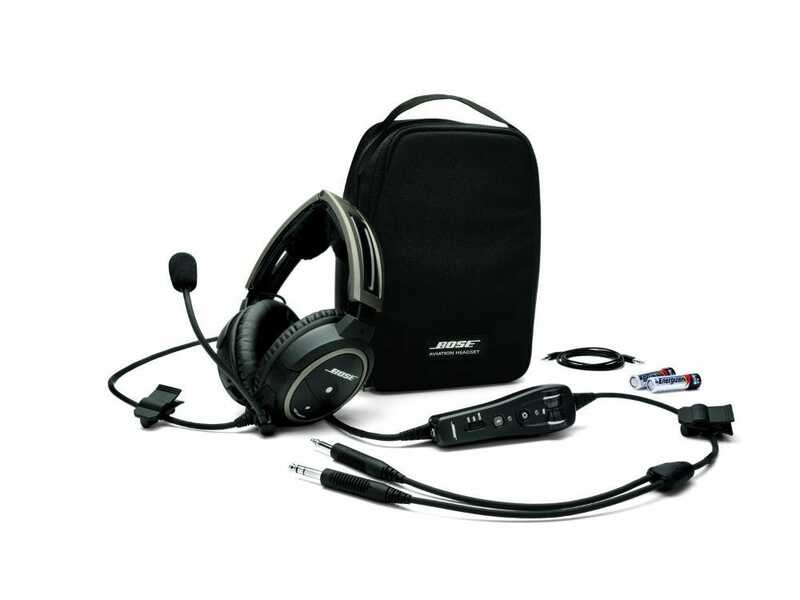 BEST ANSWER: Included is the A20 Aviation Headset, in-line clothing clip, control module, 2 AA batteries, aux-in cable adapter, carrying case. 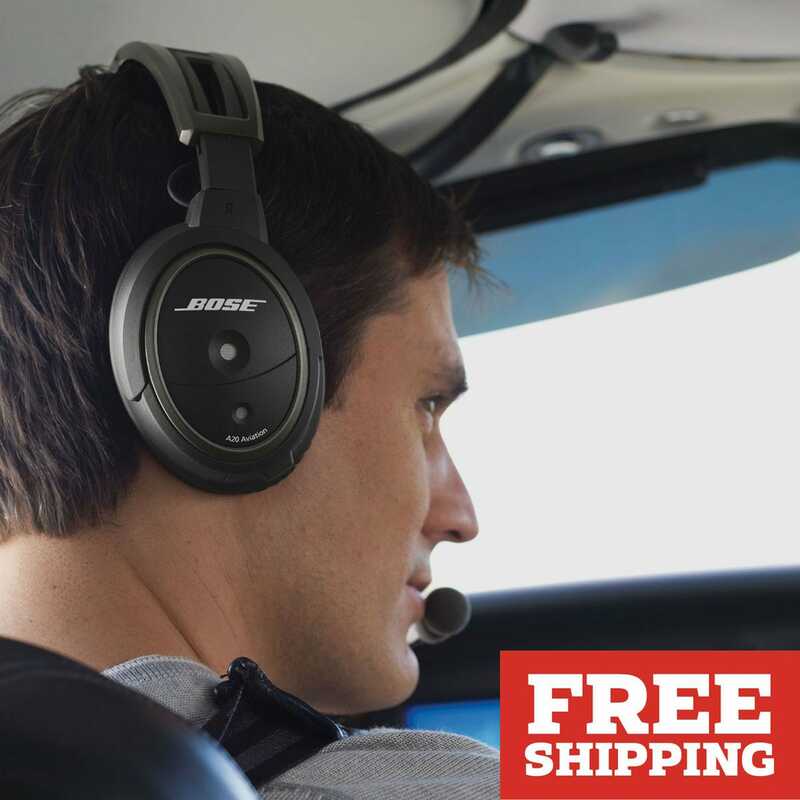 I am a student pilot and would love to have a Bose headset. What is the most common configuration of plugs/battery/no-battery used in GA planes? BEST ANSWER: The most common is the GA plugs (twin connectors) with battery. The batteries confuse me. Will it charge when flying? No, the batteries will not charge. The batteries power the ANR. If the headset is panel powered the batteries will be used when/if the panel power is lost. Bluetooth headset has no cord at all? BEST ANSWER: hey Randy. The bose headset it has the normal comm chord that connectinto your airplane. The bluetooth is to your iPhone or iPad. So the blue tooth fantastic for listening to music on your phone. And if you need to call in for a clearance you can do it with your phone and hear it all in your headset. The only thing i might say is to think hard if you want the typical two pin plugs connections. In which case the noise cancellation on off switch runs off batteries. You have to change them about every 10 hours or so. Or if your plane has the one pin option for your headset,(the round six pen) , it will supply power to the headset and you needn't worry about batteries ever. As soon as you push the noise cancellation button and the drone of the engine goes away, you will forget you paid a grand for these! Fly safe. 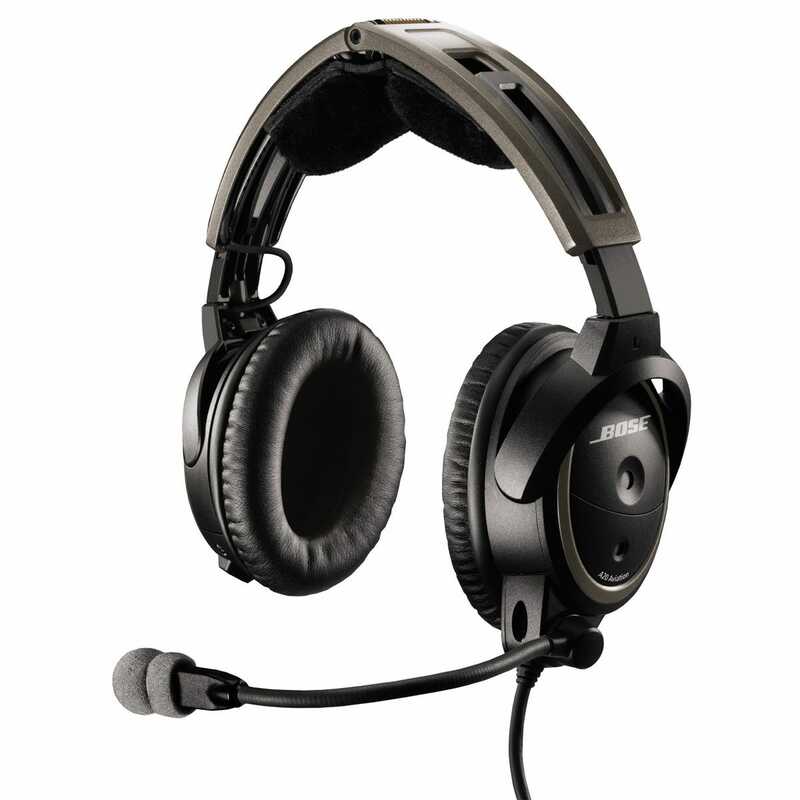 The headset has the same cord as any other aviation headset. The Bluetooth feature is to listen to music or take a phone call from a Bluetooth device. The Bluetooth has nothing to do with the aviation radio. I have the Bluetooth A20's for the passenger seats so they can connect their personal devices to their own headset with Bluetooth. for their entertainment needs. I use the Bluetooth built into the audio panel for the pilot and co-pilot positions. All headsets have a cord. The Bleutooth refers to adding in additional devices (your phone, your iPad, other ) without aux cable. The main connection to the aircrafts radios is always wired, so as to function even if the batteries die. Not needed. The Bluetooth works perfectly when combined with the noise-cancelling. Incorrect, you have the normal cords, the Bluetooth is for your phone or music. How tight are these headsets? I am a petite person but find that most of the discomfort from headsets is how tight they press against your head and subsequently, against what i would assume is my glands under my ear right behind my jaw. After a while, ugh! Does anyone have any experience with changing to Bose to relieve that pressure or recommend another brand altogether? I have owned and used a variety of headsets over the years. I purchased a two Bose A20's last July. They are very comfortable. I understand the "pinching" problem that can occur with other headsets and I feel that this is completely a non-issue with the Bose A20's. I flew 24 hours in March of this year, including several flights greater than 4 hours in duration. I used the A20 exclusively and had nothing but excellent results. These headsets adjust at the top to fit a range of head sizes (mine is large) They are the best fitting and lightest head set I have ever owned I feel the pressure from these is very light compared to others If you feel to much pressure I am sure all others will be worse. BEST ANSWER: Straight cord is the standard for airplanes; coil cord is typically used for helicopters. It's really personal preference, depending somewhat on how far it is from your headset jack to the pilot seat. 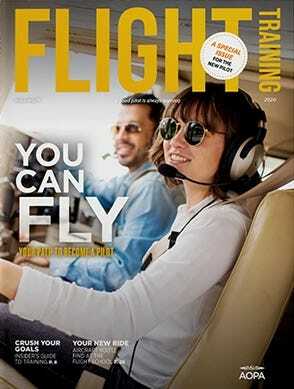 Do you offer a CFI discount like mypilotstore? BEST ANSWER: Yes, visit http://www.sportys.com/bosecfi for details. Does the headset work when the batteries die? BEST ANSWER: If you let the AA batteries full deplete, the Bose A20 will still continue to function as a normal passive noise attenuation headset. You will not get the benefit of active noise cancellation or Bluetooth, but you will still be able to transmit and receive normally with ATC. It works when the batteries die HOWEVER it does not not protect your ears as much and in cockpit communications do not work only when ptt button is pressed. Luckily the case comes with a battery holder in case the battery dies. Wil the bluetooth work with a cessna 152 ? BEST ANSWER: The bluetooth is used with either a phone or iPad. If I purchase with the NAFI member discount, will I still get the speaker?? 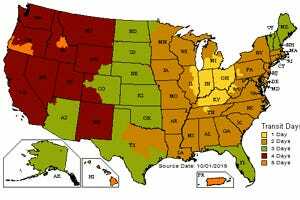 BEST ANSWER: The rebate for states not to be combined with any other offer or promotion. What are the Dimensions of the storage case? BEST ANSWER: 7 1/2" x 5" x 10"
Does music play via bluetooth to passengers as well? BEST ANSWER: No, the music is directed only to the headset. If you would like music to go to the passengers you would need an intercom with a music input. BEST ANSWER: Either NiCad or Li-Ion rechargeable batteries will work fine. I expect Bose is being overly cautious regarding the possibilities of fire with rechargeable batteries. A legitimate concern, but probably not a major one. I have not tried but I do not believe it would be an issue, if really are concerned call Bose direct they have great support. I use Photography grade NiMH AA batteries and they last 2-3 times longer than Duracell. Never had reliability problems. I am looking for a headset that works well with state of the art hearing aides. Any feedback, particularly on the Bose 20? BEST ANSWER: I wear state of the art hearing aids when I fly, and I can tell you, the Bose A20 works beautifully with them, unlike the David Clark ENC I used to wear. ATC comes through crystal-clear, and the noise cancelling is the best of any headset I have ever used. 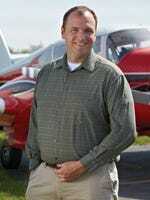 My CFI has serious hearing loss and requires hearing aids. The A20’s are the only headsets he can wear with them on. Please understand your may be different, but you should try them. Some Bose stores do have them on display for testing on a nice system. Hello Monica, I too wear high quality hearing aids and they work great with the Bose A20's. I'm sure you'll be pleased. The A20 noise cancelling is the best I've ever experienced. Regards, Michael S. N420RM Archer III. 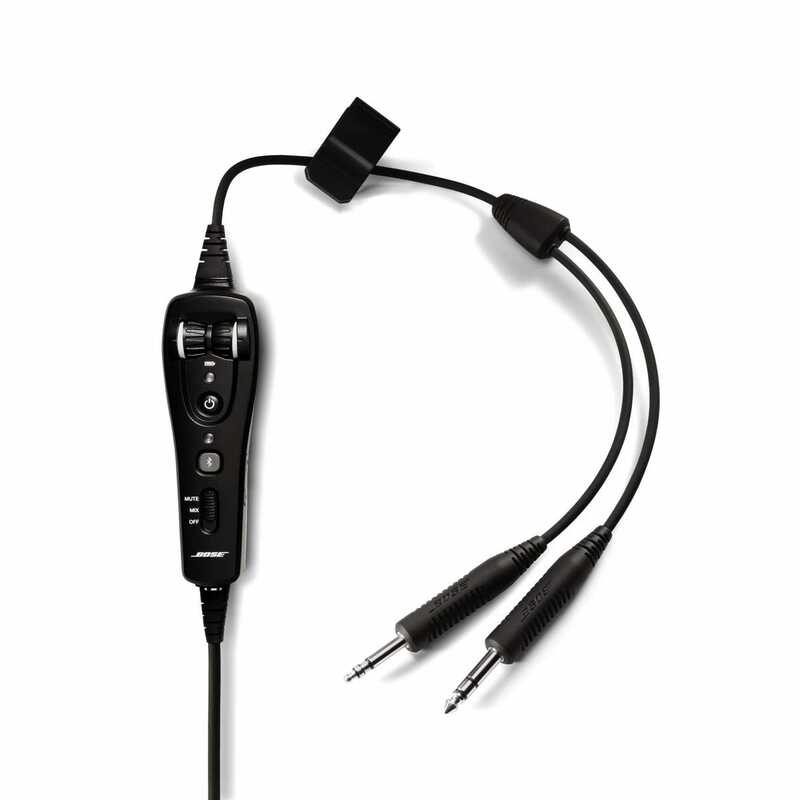 Can i use headset without mic boom and cable for regular airline passenger travel? BEST ANSWER: If you were to remove the cable you would not be able to use the Bluetooth or the Noise reduction. 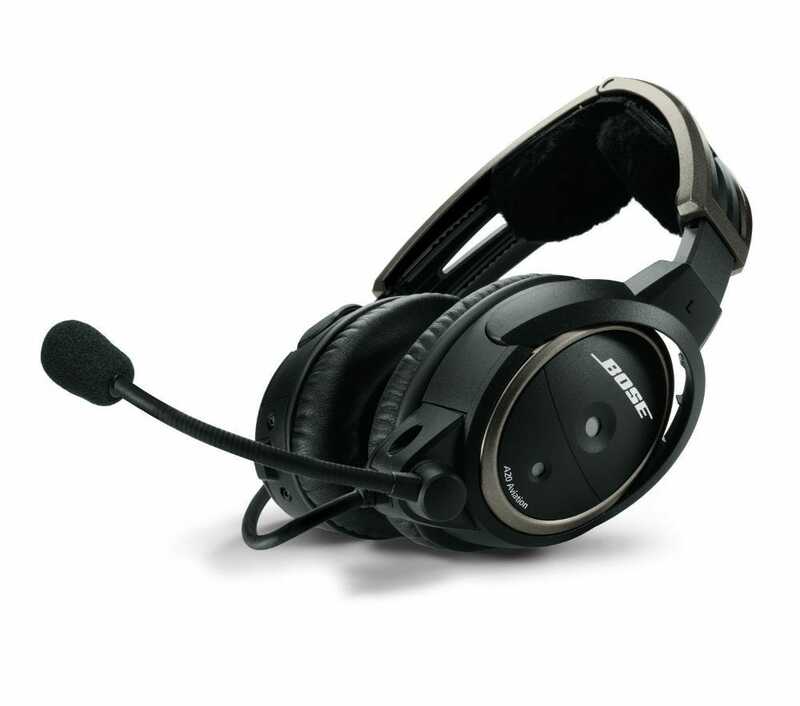 Bose does sell a headset that will meet your requirements but it is not an aviation headset. Are you going to remove the cable? I can't hear the stall horn in a Cessna 172 with these head phones. Any ideas? BEST ANSWER: I've flown with these in a C-172S and had no issues hearing the stall horn with the ANR turned on. ANR does not cancel the frequency emitted by a stall horn, and the stall horn should have more than sufficient volume to overcome the passive noise reduction of the ear cups. 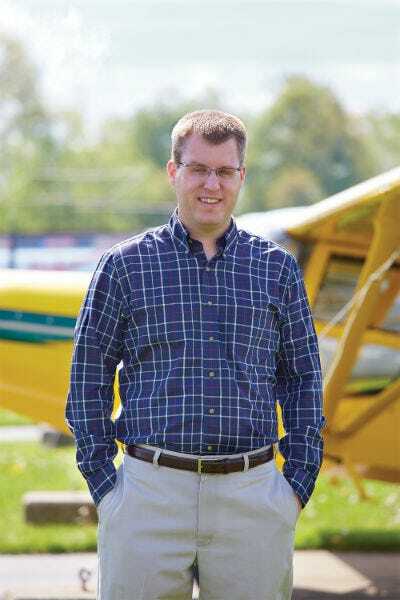 I cant answer specifically to the Cessna 172. I've had no issue hearing the stall in a Piper Tomahawk PA-38 while practicing maneuvers. Can the A20 be purchased with the military plug option? BEST ANSWER: Yes, but it has to be purchased from Bose direct. Which plug type for a Cessna 172 with a Sigtronics SPA 400 intercom ? BEST ANSWER: Twin plugs are required. to know, Am I on time for 10% off and free bose speaker ? BEST ANSWER: That promotion for 10% off of the second headset and a free speaker is no longer available. We do offer free ground shipping on the headset. BEST ANSWER: Most probably as that is one of the major ways how they control the sound quality. Has great noise rejection. The main reason I bought mine is because it blue tooths to my ADSB out and Stratus II so if I do not see a target on my ipad or G1000 I get an audio alert to nearby traffic and then look at my ipad and see where the issue is in time to change course. Which connection for an sr 22t 2018? BEST ANSWER: Depends on the what is in the Aircraft. For the SR22 is could be either the LEMO or Twin plug. Hi , I'm from Mexico. I'm interested in buying Bose A20, but I'm wondering if you're shipping to Mexico? And whats its the price? BEST ANSWER: We ship worldwide, shipping price is listed when you check out. I would recommend the I-Parcel option if available. I fly Cessna 172, are these suitable? Someone told me they are better for commercial but not Cessna. Is that true? 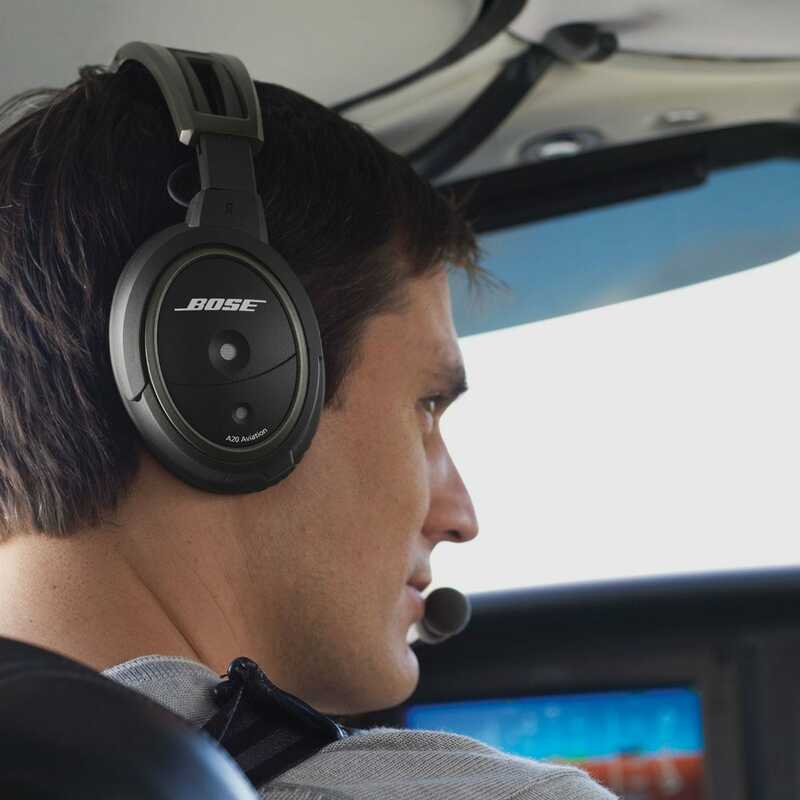 BEST ANSWER: The Bose headset does very well in the Cessna 172. 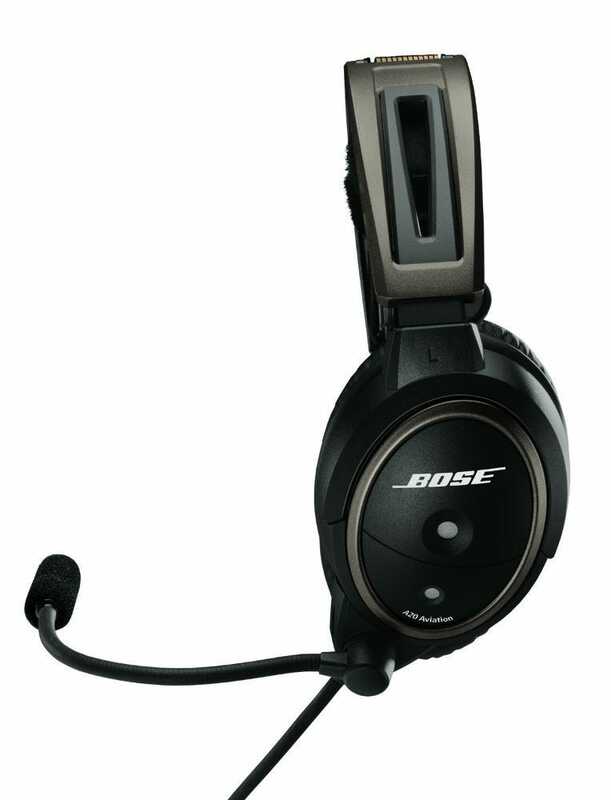 The Bose Pro-Flight is the Bose headset that is designed for Jets. We are planning to buy two headsets at the same time. Will we get ten percent off the second one and two free speakers? BEST ANSWER: You will receive the 10% off of the second headset and one of the speakers. Just to be clear, each headset in an order of multiple headsets comes with a free speaker? BEST ANSWER: No, the speaker offer is per order. You will receive 10% off the second and each subsequent headset. Do you offer Black Friday shopping deals for the Bose A20? BEST ANSWER: Please watch our website for our deal of the week. I am working for a company that has the 2 plug but would like to apply to a regional airline next year and would like to not have to purchase a whole other headset. Any advice on what type plug I should get? BEST ANSWER: I would recommend the twin plug and then if need you can purchase an adapter. I would also recommend that the headset you purchase is TSO'd, (Bose or David Clark). Most airlines required the headset to be TSO'd. Under the choose option for the plug type, which type should I get as a student pilot mostly for Cessna 172s. 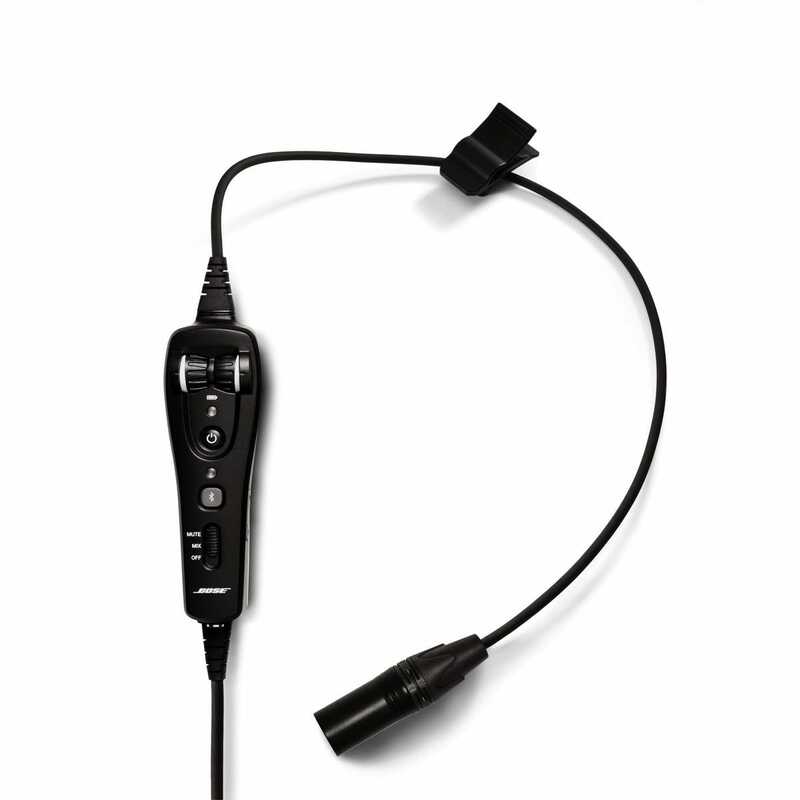 Don’t have any experience with headsets and was confused with the straight cord and coiled cord, battery powered or aircraft powered, twin plugs or 5 pin connector. Which option should I choose? 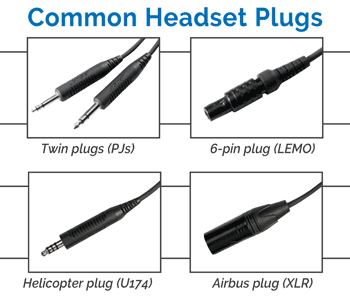 BEST ANSWER: The typical training aircraft use the twin plug (PJ Plug).